Of course Wesley wants Lloyd to break one . . .or three hundred. Sometimes, one smirking Gemini is all it takes…to have Lloyd laying down the law and marching Wesley straight back to his dorm room. 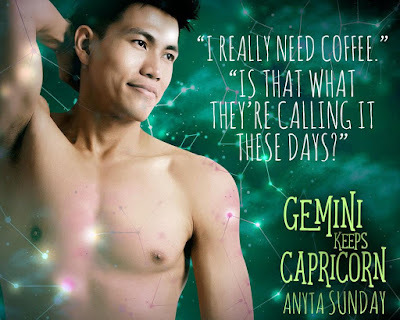 Gemini Keeps Capricorn serves up a double shot of cluelessness, with a side of rock’n’roll, and topped with a slow burn HEA. It can be read as a standalone. 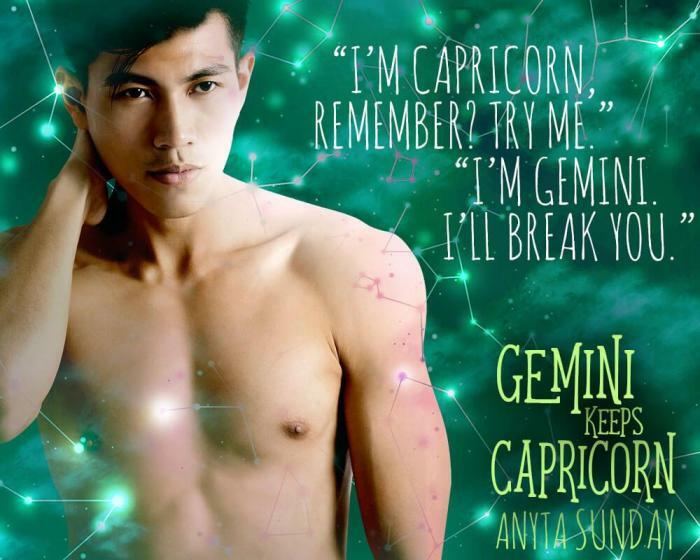 Read my five-plus-starred review of Gemini Keeps Capricorn. Add Gemini Keeps Capricorn on Goodreads. Wesley saw Lloyd early in the morning, all right. One in the morning. He stumbled into Lloyd’s room after three solid hours of dancing. He was hot and bothered, and his jeans felt shrink-wrapped onto him. “What are you doing up?” Wesley kicked off his shoes, popped open the top button of his jeans and dove onto Lloyd’s bed. 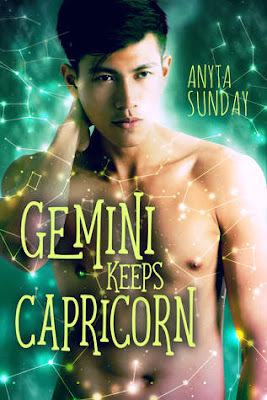 Anyta writes a variety of stories, Contemporary MM Romances with a good dollop of angst, Contemporary lighthearted MM Romances, and even a splash of fantasy. 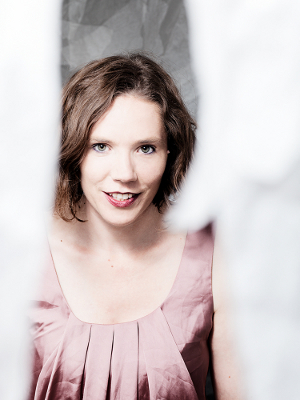 Her books have been translated into German, Italian, and French.